Music Recording Studio in Wilmington | Recording. Mixing. Mastering. Since the 1970’s, Karen Kane has produced and/or engineered over 200 full-length album projects and has engineered hundreds of live sound shows. Currently, she runs her own audio production studio, Karen Kane Music Productions in Wilmington, North Carolina. Besides music recording, mixing and mastering, her recording studio in Wilmington is also where she teaches Audio Engineering and Music Production. In 2012, she expanded her teaching career by joining the faculty at the University of North Carolina at Wilmington as the Instructor for the Recording Technology program. 2016, 2017 and 2018 she was nominated again in that same category. 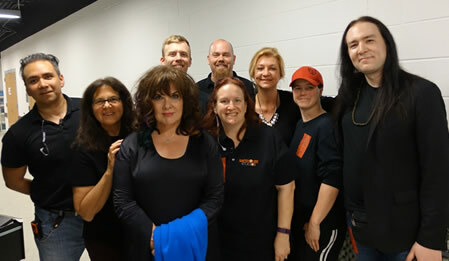 Recent Project Work: Karen recently worked on a live audio recording for Ann Wilson of HEART at the Wilson Center in Wilmington. The audio recording will be used for a film that is being made of Ann’s current Concert Tour.